Today is the birthday of Philip Lewis Zorn (February 21, 1837-January 4, 1912). 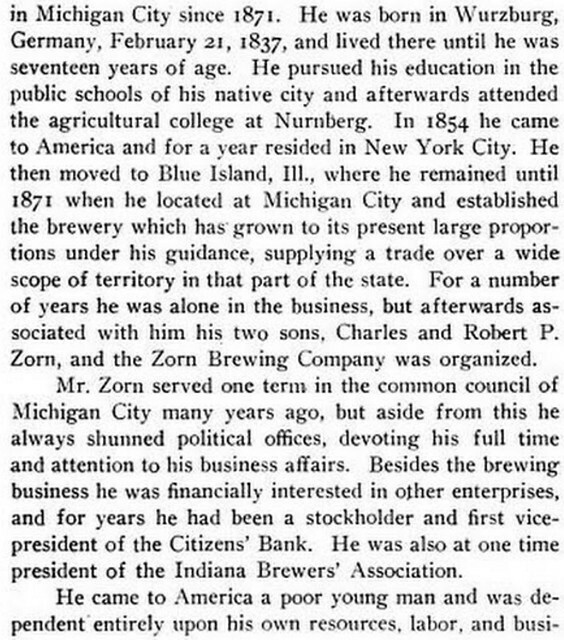 Zorn was born in Wűrzburg, Bavaria, and learned brewing from his father, how was a brewer in Germany. In 1855, when he was eighteen, he emigrated to the U.S., and initially settled in Illinois, where he worked in breweries in Blue Island, Illinois. 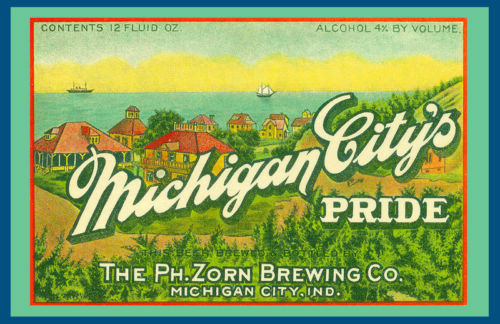 In 1871, he moved to Michigan City, Indiana and opened the Philip Zorn Brewery. Twenty years later, he incorporated it as the Ph. 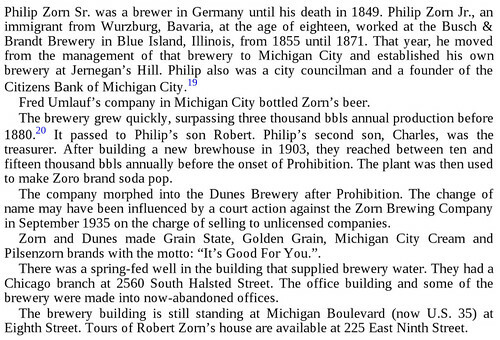 Zorn Brewing Co. After prohibition, his sons Robert and Charles, who had worked for the brewery beginning as young men, reopened the brewery as the Zorn Brewing Co. Inc., but it in 1935 it became known as the Dunes Brewery, before closing for good in 1938. He was also a city councilman and a co-founder of Citizens Bank of Michigan City. 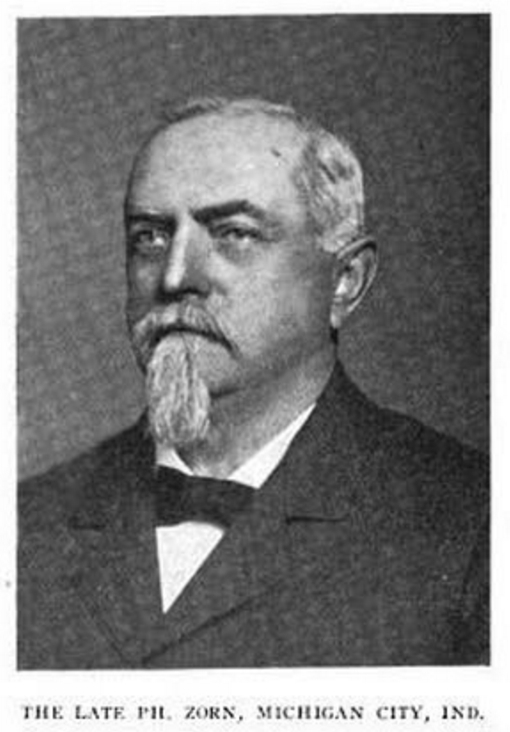 Philip Zorn Jr. was the son of a brewer in Wűrzburg, Bavaria who immigrated at the age of 18. He worked at a brewery in Illinois from 1855 until he started his own in Michigan City. By 1880 he was making 3,000 bbls annually. He became a prosperous man, a city councilman and the founder of the Citizens Bank of Michigan City. The company passed to Philip’s sons Robert and Charles who built a new brewhouse in 1903 and reached almost 15,000 bbls by the time of Prohibition. During the dry years they made the Zoro brand of soda pop. 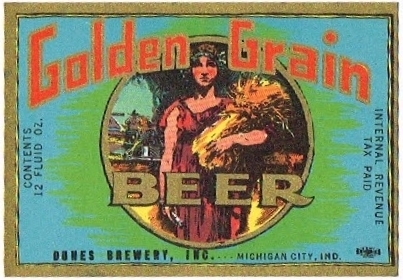 After Prohibition they changed the name to Dunes Brewing, possibly because of a court action against Zorn in 1935 for selling beer to unlicensed companies. 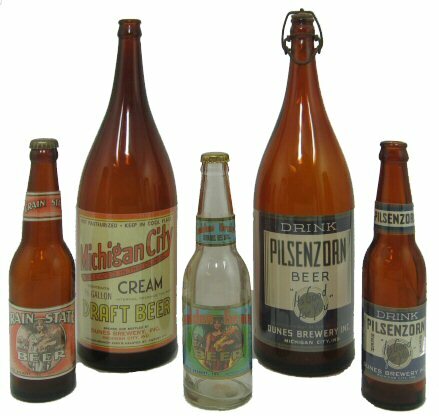 They made Grain State, Golden Grain and Pilsenzorn brands.